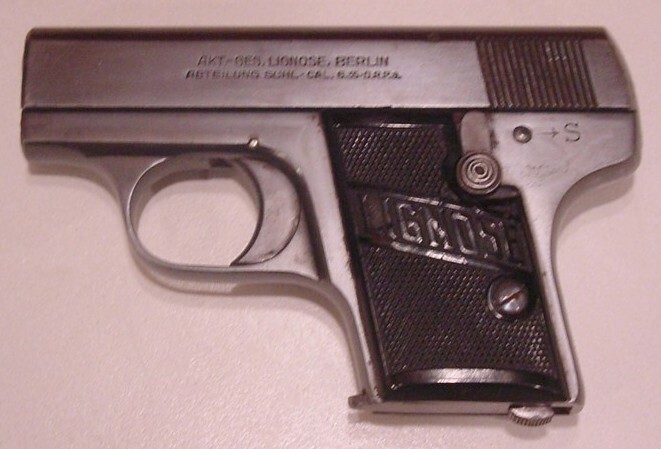 Post-World War One period German pistol manufactured by Aktiengesellschaft Lignose, Berlin Abteilung Suhl. 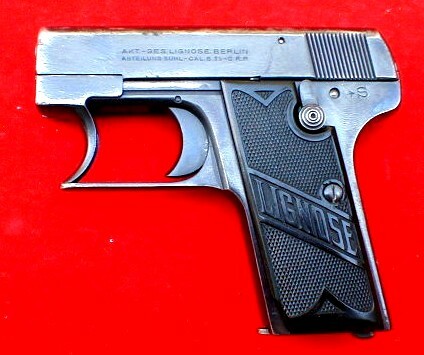 This is one of the most unusual .25ACP pistols ever made. 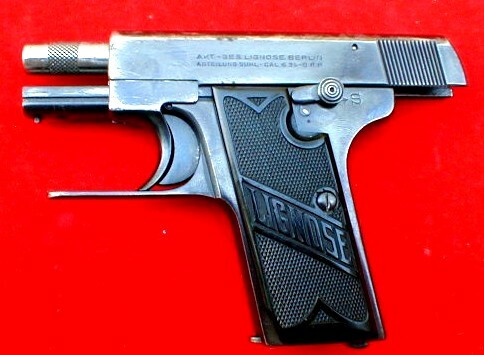 The design features Chylewski one-hand-cocking trigger guard. 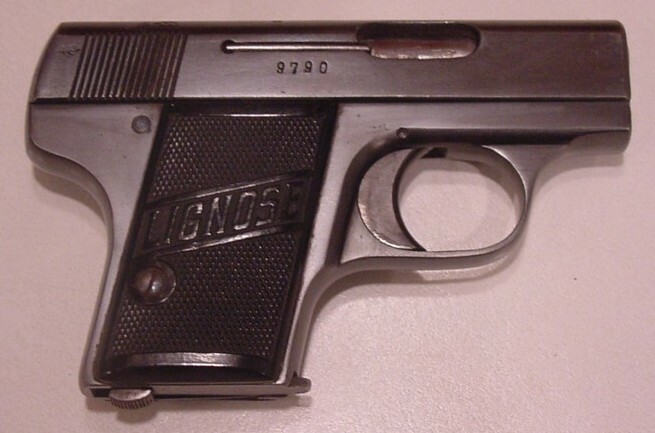 Originally, manufactured by Bergmann. 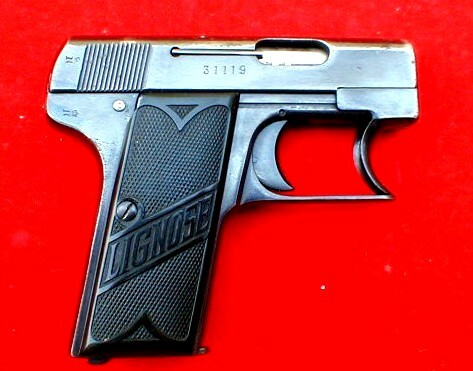 Production continued under the new name, "Lignose Einhand" after Lignose purchased Bergmann factory in 1921. 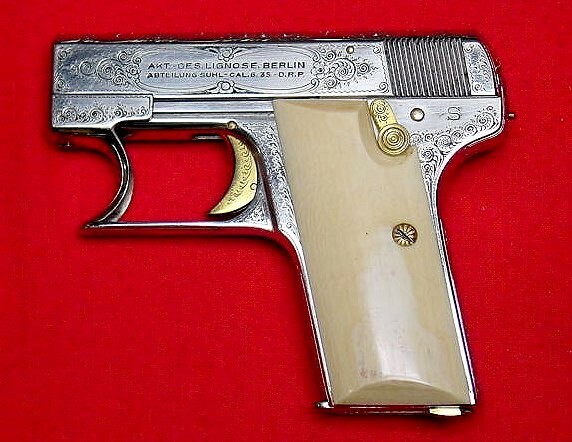 Well made pistol with nice machining and polishing. The left side of the frame displays following markings, "Akt-Ges. Lignose, Berlin Abteilung Suhl Cal. 6.35 D.R.P.". Nine shot magazine.